The reason it appealed to me, is because I love when my nails look groomed, I think it shows that a lady looks after herself. But for some reason, nail polish lasts an absolute MAX of 2 days. But usually it starts chipping before the day is even over, no matter what base coat or top coat or old-wives tip I try! Even acrylic nails start lifting after only 2-3 days. My friend, who is a nail technician, says it's probably because I have oily nails (that sounds gross). What the Essence Gel Nails At Home range promises, is a quick and easy gel manicure at home that lasts up to 12 days and then simply peels off with no damage to your natural nail. Below I am going to share my thoughts on this range with you, along with pictures. 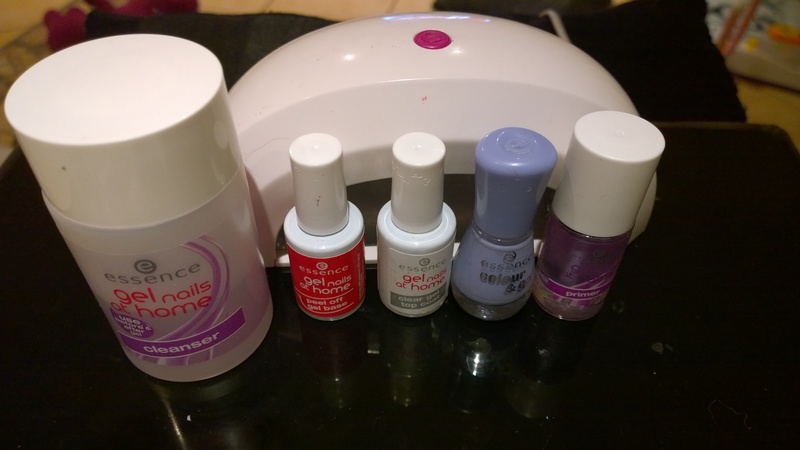 I picked up, from left, the Essence gel nails at home cleanser, Essence LED lamp, Essence gel nails at home peel off gel base, Essence gel nails at home clear gel top coat, Essence colour & go nail polish is Absolutely blue and the Essence gel nails at home primer, at Dischem for under R450. Before you begin, you file and lightly buff your nails, then you apply some of the cleanser to a lint-free cotton pad and clean away the nail dust and excess oils. Then you apply primer, which is a thin liquid that dries almost as fast as you apply it. Next, they say to apply a coat of the peel off base, but what I've found is, applying two thin coats gives a much smoother look than applying one thick coat, after every coat, you cure your nails under the LED lamp, which automatically switches off after 60 seconds, then you wipe your nails with the cleanser again before applying your nail polish. 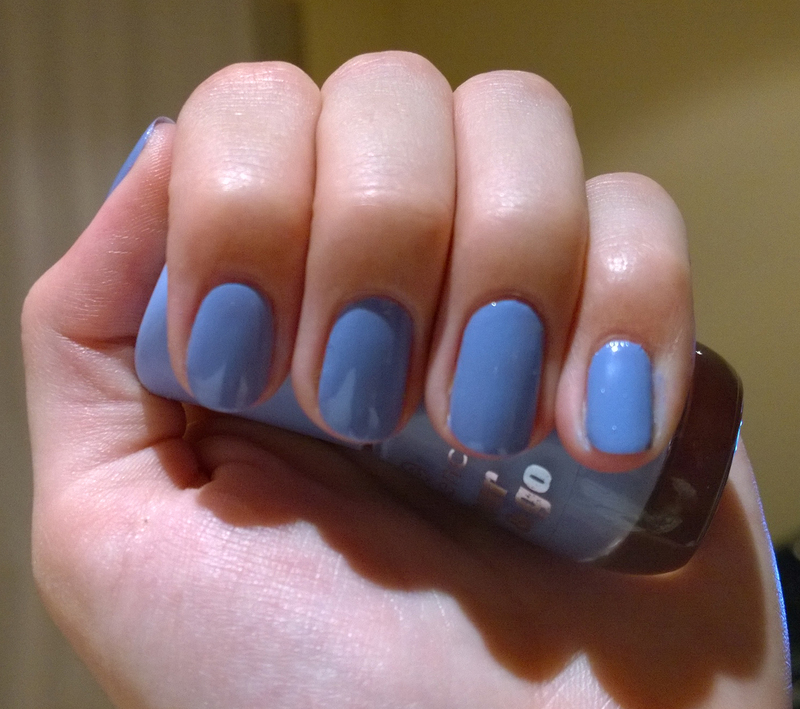 With this nails polish, I only needed one coat. Then after your nail polish has dried completely (it's very important that it be completely dry before you move on to the next step) You can apply the clear gel top coat, again, I would recommend two thin coats instead of one thick coat. Also be sure you don't get any gel onto your cuticles, if you do, clean it away before curing, because once you've cured it under the lamp, it's there to stay. When you've cured your top coat, you simply wipe your nails with the cleanser again and your all done! It's really very simple, I'm a perfectionist when it comes to my nails so it takes me about an hour and a half to do my nails. 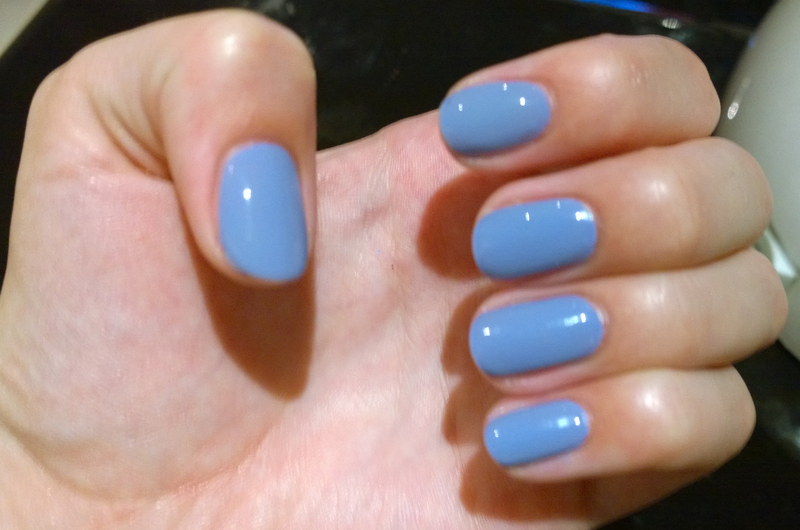 This picture was taken before applying the gel top coat. After applying the gel top coat. I also did my mom's nails, unfortunately I don't have a picture, but I wish I did. My mom has amazing, long and super strong nails, the complete opposite of mine. My mom's gel manicure has been on for over 2 weeks! And it still looks just as good as it did when I first applied it, except that they have now started growing out. So if you would like a longer lasting manicure, I would definitely suggest you try this. The only down side for me, is, they claim the gel simply peels off without damaging your nails. This unfortunately is not true. It peels of relatively easy, but sometimes there are stubborn parts that you have a much harder time getting off, and it leaves your nails quite damaged. Next time, I plan on trying an acetone soak to remove the gel instead, since I think that would be much better for your nails than ripping off the top layer, and afterwards I'll just apply a rich nail and cuticle cream to restore the lost moisture. So overall, I love this range, and I would definitely recommend it, the only part I don't like is that the removal isn't as easy and damage-free as they claim. I hope you found this review helpful, and that you had a great weekend!